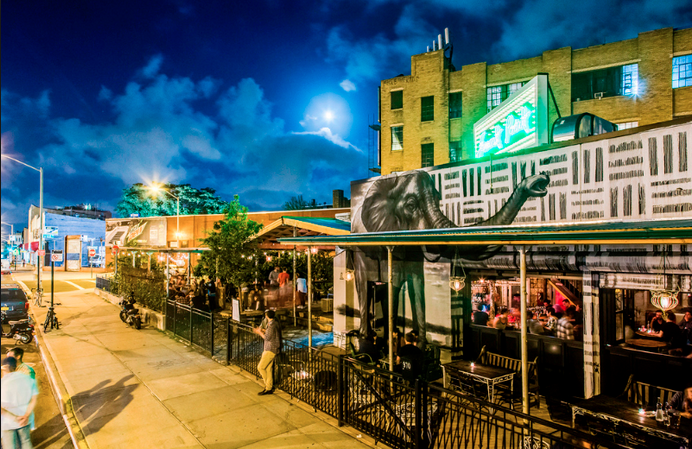 Forest Point, known for its adventurous cocktails and ample patio seating, has a secret to share. 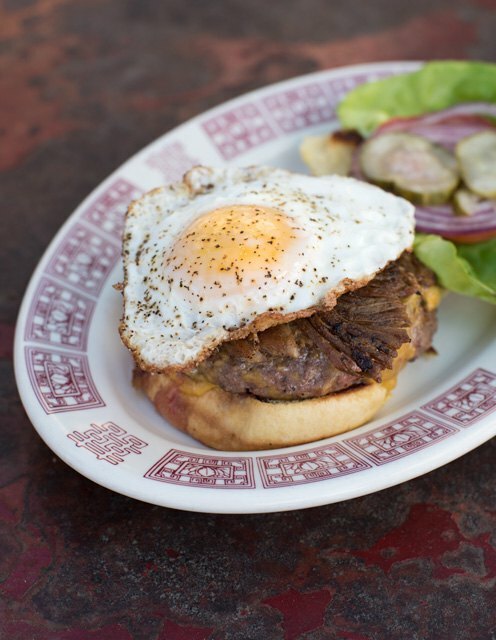 Inspired by a West Coast trip to In-N-Out Burger, Chef David Rotter decided to give the "off menu" concept a spin with four hearty burger recipes. We decided to try them all (out of pure journalistic duty) and let you in on the fun. 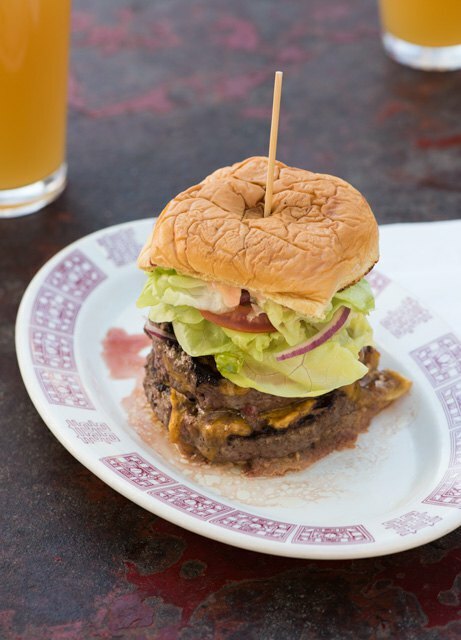 Forest Point's burger experimentation began organically, with Rotter's spin on a burger his friend requested while helping the restaurant during its opening. 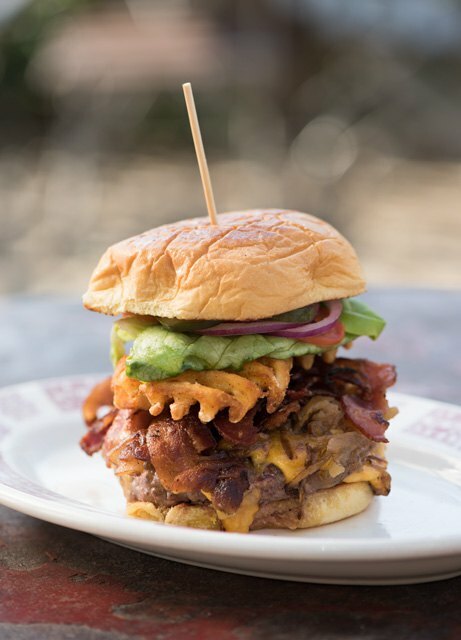 “My friend kept ordering a burger that was fun for us, so I named it after him,” Rotter explained, adding, “it just kind of stuck.” The special request is now "The Jefferson," whose garnishes include but are not limited to waffle fries. Eager to imbue further classics with imagination, Rotter continued to take inspiration from staff recommendation and spinoffs ensued. The sheer fun of experimentation aside, Rotter added "I wanted to bring something cool and fun to the neighborhood," emphasizing that the burgers are not just for staff and close friends. Buzz aside, the offerings remain "unofficial" enough that your server might be perplexed if you ask for "The Old MacDonald." A pile of cheese, lettuce, tomato, housemade pickle, waffle fries, jalapeños, house sauce. If you have a hankering for something classic with a bit of bite, this is your burger. 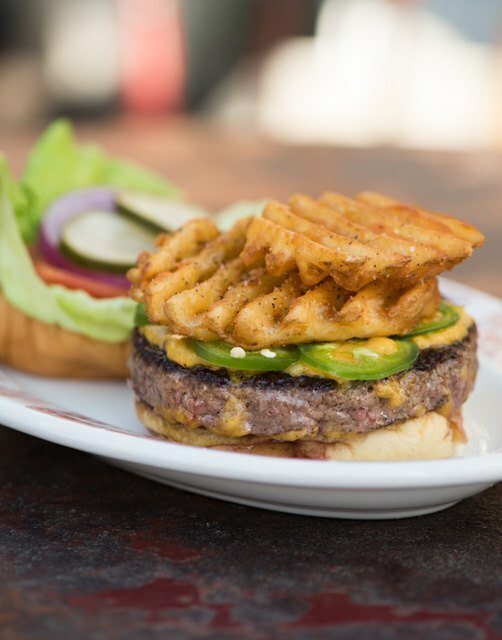 Brag about eating waffle fries atop your burger for $9. Fried egg, house made pulled pork, caramelized onion. If Old MacDonald had a hangover, this is what he'd eat. All the farm has to offer for $11. Old MacDonald had pulled pork on his farm. Double patties, double toppings, double everything. Satisfaction (and mess) guaranteed with this classic number. Double the fun for $13. Double your everything with The Duplex. Bacon, fries, caramelized onion, BBQ sauce. Drapings of caramelized onion and barbecue sauce pack a hearty punch. Easily my favorite. Eat like a king for $10.